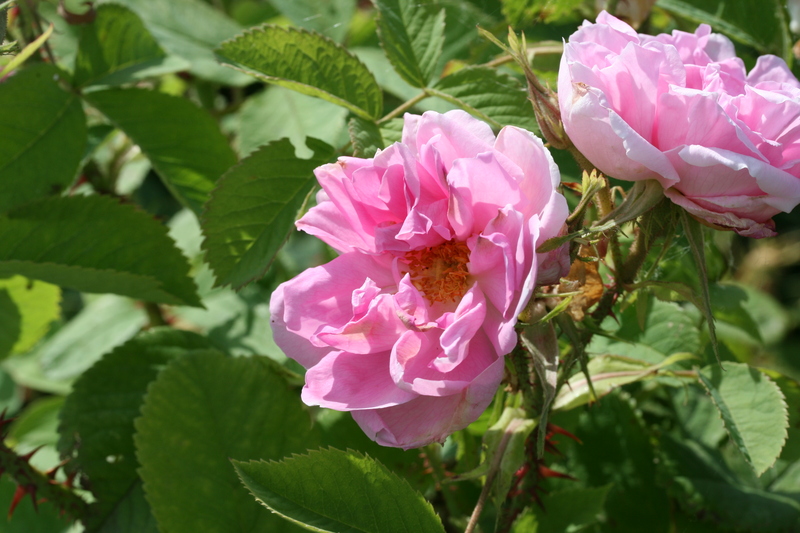 ‘Quatre Saisons’ is one of the most important roses. It is the oldest European rose that blooms more than once a year and does so with intervals of about 6 weeks to late autumn. In Italy in the 17th century this rose was known as La rose dogni (the monthly rose). Genetically she is the same as the once blooming damask rose of which she probably is a seedling or mutation. The flowers are slightly filled of a deep soft pink and are blessed with the sweetest scent imaginable; they have a long, slender flower base and long slender sepals and grow in dense clusters of 3-10 flowers. The leaves are pale green, dull and with a striking serrated edge. The branches are covered with long down curved thorns from large to small. 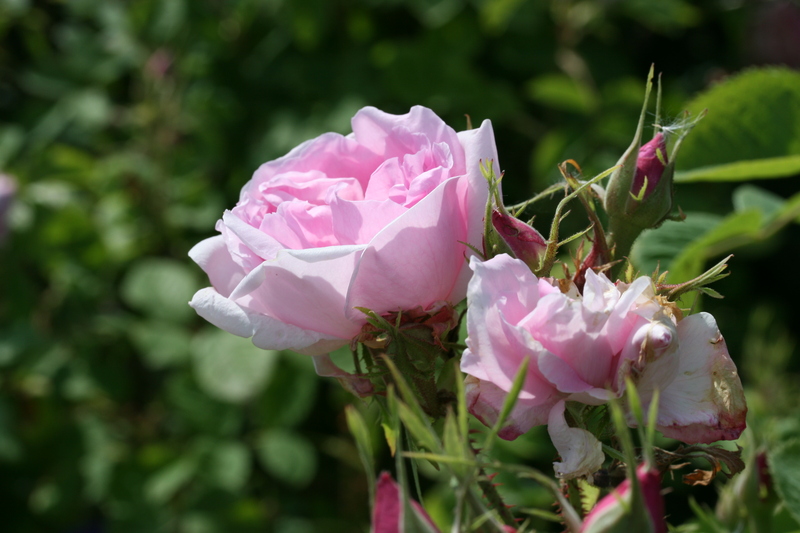 These characteristics are also found in later autumn damask roses as ‘Rose de Rescht’ and their descendants, the Portland roses and the Hybrid Perpetuals. Height of 4′ to 5′ (120 to 150 cm). Width of 3′ to 4′ (90 to 120 cm).